Gene and Maya Washington. 'Through the Banks of the Red Cedar' screens at 1:30 pm Saturday at the Detroit Institute of Arts, and at 1 pm Saturday at Emagine Royal Oak. 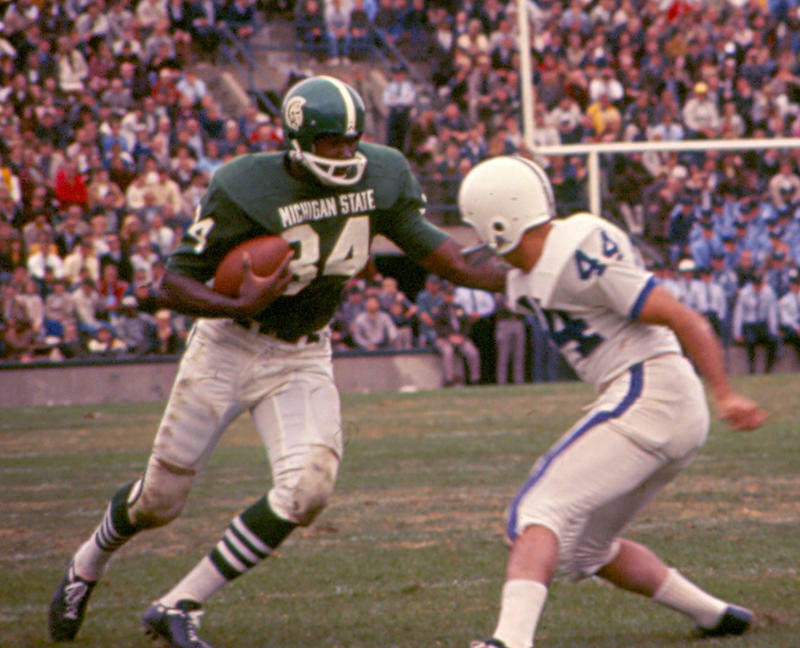 Gene Washington is one of MSU’s greatest football heroes. He was one of the African-American players recruited by coach Duffy Daugherty out of the deep south in the 1960s, integrating college football and winning national championships. Washington’s daughter, Maya, has made a documentary film about her father, his teammates, and what their history means to modern-day players. It’s called “Through the Banks of the Red Cedar.” It will debut this weekend at the FREEP Film Festival in Detroit. WKAR's Scott Pohl spoke with the Washingtons about the movie three years ago. Washington says finishing the film over the last few years has been "grueling and exciting, and filled with twists and turns." She says the most humbling experience has been self-funding the project. Washington raised money from foundations, but she also credits 350 individuals who supported the project. Their financial backing, she says, indicates "the importance of telling positive stories about race in sports today." 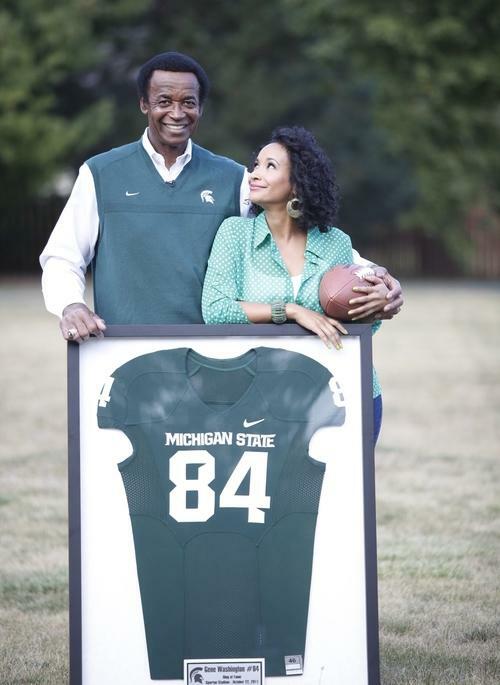 Maya says her father, Gene Washington, is "doing great," adding that he's been very fortunate, health-wise, regarding the challenges that men in their 70's and former athletes are going through. His mantra, she concludes, is "every day is a gift."